security that allowed me to look around. I noticed that most streets in the cities of France were lined with canopies of trees adding to the aesthetics appearances of these streets and boulevards, not to mention shade for the many sidewalk cafes. 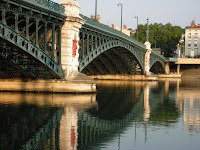 Rhone is described as a rushing torrent from the Swiss Alps crashing eastward to Provence. 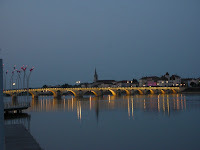 Alas by the time the river merges with the Saone, the wildness has been tamed by a series of dams and locks. 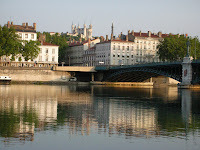 The wild Rhone, at one time washed away more than half of the bridge at Avignon, leaving the rest for posterity as a tourist landmark. Now, we might as well have been drifting on a lake. These dams, we were told, were built after World War II, but well before there were any requirements for environmental impact statements. Actually, France along with other countries in Europe has a more advanced and balanced environmental policy than the U.S. Aside from flood control, the dams provide hydro power and the locks regulate the flow to facilitate shipping. 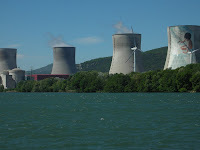 Along the river, we noticed at least two nuclear power plants as well as wind farms. There seemed to be a balance between energy demands and protecting the environment. As one significant indicator, plastic bags were not in wide spread use and reflected in the absence of plastic bags and bottles as flotsam at the locks. 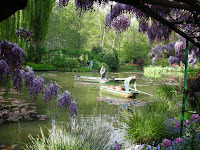 Historically, Provence is as important and interesting part of France as Paris. 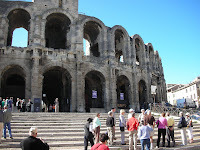 It was a region of France first occupied by the Romans and incorporated as a province of the Roman Empire. 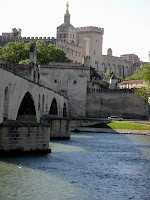 Later, from 1309 to 1404, Avignon became the seat of seven successive Popes when Rome was regarded as too unstable and then two anti-Popes when the Church decided to go back to the Vatican but the anti-Popes did not. 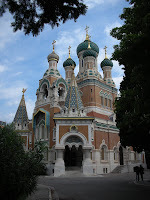 The Papal palace remains the star tourist attraction today. From Avignon, it is possible to take a short side trip to Pont du Gard, the spectacular remains of a Roman aqueduct that used to run some 30 miles from the source of spring to the important Roman city of Nimes, a city that still stands today. 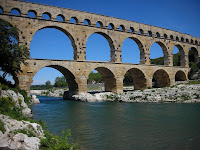 We learned from the museum at Pont du Gard that Romans built aqueducts all over their empire not just to keep their public baths and fountains operating but as a unifying symbol of their might and presence. Taking the side trip to Pont du Gard meant spending less time wandering around Avignon. For those of us that enjoyed walking around old medieval towns, this was a regrettable trade-off inherent to most river cruises. 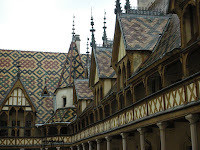 Other examples of trade-offs include taking a tour of the Beaujolais wine country that included a walking tour of Oingt, a medieval city constructed out of gold colored stones, but that meant not walking around Trevoux where the ship docked. Same thing happened at Arles. The optional tour was to Les Baux, a medieval town at the foot of a fortress sitting on top of a rugged and rocky outcrop. 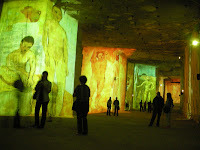 We then went to a multi-sensory presentation of Picasso in a nearby converted quarry called Cathedral of Images. 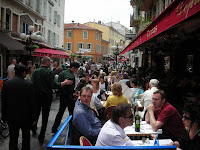 Nice was another city where by taking an extension, we had a four-night stay to get to know the city and its restaurants. Nice even allowed free admission to its Matisse Museum. Matisse lived to a ripe old age and spent the second half of his life in Nice, so perhaps the city was proud of its adopted son and wanted the tourists to know about the artist. 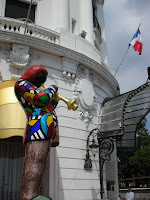 Nice is at about the middle of the French Riviera that stretches from Monaco to Cannes. It was hard to appreciate the appeal of the sandless beaches where people flock to be seen, lying on beds of pebbles and rocks. On our way to Giverny, we passed a charming village but we could not stop because of the lack of parking for a big bus. Instead, we paused across the river and had a view of the toll house on a defunct bridge. 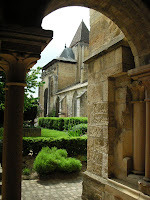 In Beaune, while the highlight was Hotel Deux, the hospital, the local guide also took us to a 11th Century Romanesque church. Our cruise started at Macon where the ship was waiting for us. Eric told us that there weren’t much to see on the other side of the bridge. But there weren’t much on this side either. 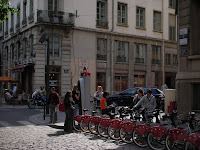 In Paris we noticed that there were specially marked bicycles that anyone can rent. 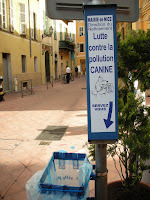 The idea was actually started in Lyon. 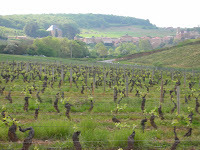 We toured the Beaujolais wine country for wine tasting after a side tour of the medieval town of Oingt, built from gold colored stones. 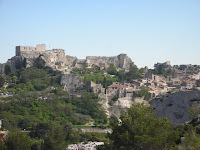 The side tour from Arles was to Les Baux in a very rocky part of Provence. 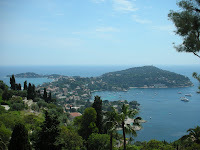 Nice, part of the French Riviera, is a pretty city. 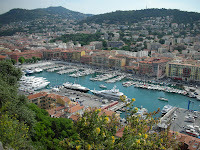 One can easily see the wealth in this part of France from the expensive cars to ornate buildings and yacht harbors. The difference between Nice and Monaco, it seems, is that there is more substance to Nice, more diversity and real people. 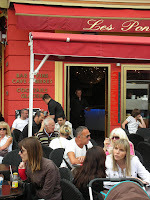 There is, for example, a thriving population of Russian émigrés living in Nice. 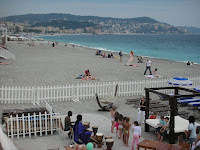 It’s possible to get a nice panoramic view of the promenade of Nice from the bluff, a short hike from old quarters of Nice. Monaco is just a short drive, around 10 miles, from Nice and the drive along the coast is almost as picturesque as Italy’s Amalfi Coast. 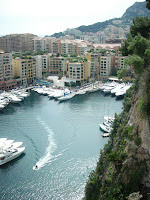 Monaco is one of the places to visit once to say “I’ve been there,” and mingle with the rich and famous. 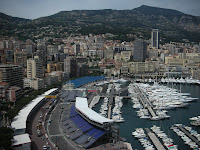 From Monaco’s palace, it’s possible to see the Monte Carlo casino in the distance and the Grand Prix viewing stands directly below, apparently in preparation of the racing event to take place a few weeks after our visit. It was a pleasure to travel with you. Your sense of humor and attention to details greatly added to our enjoyment. 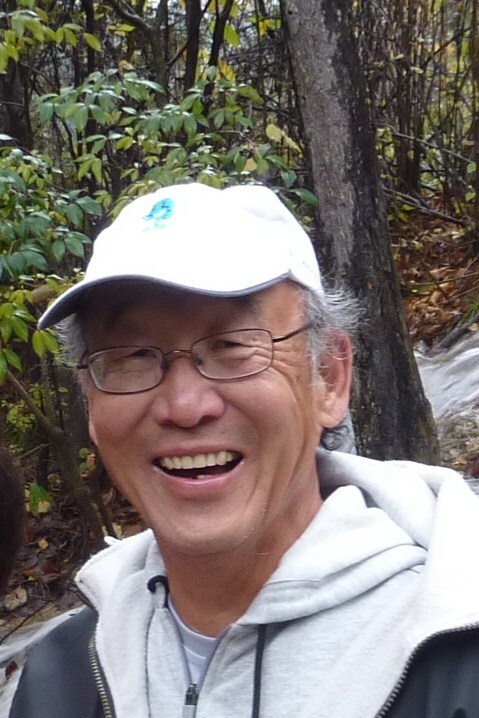 We were lucky to have you as our tour leader.